This entry was posted in Haiga and tagged 19 Planet Art Blog, imagination, Islands, Italy, reflections, Sluderno. Bookmark the permalink. It looks like a very characterful event too – is there a special reason why the men are wearing such unusual clothes? 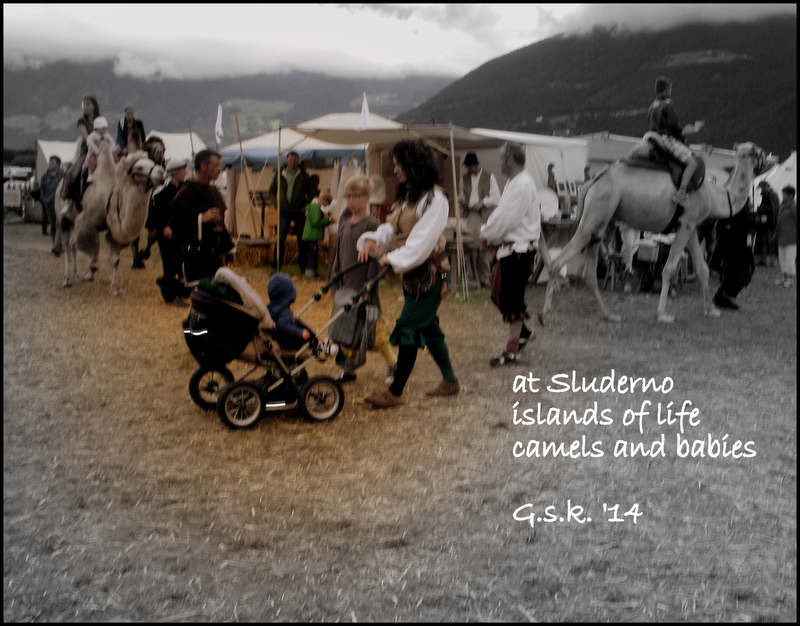 Yes … it was a mediaeval games festival in Sluderno, northern Italy … we went for two days … our son is a member of a historical re-enactment group (1400s) in Padova and they go around the country with other groups during the summer. Wow – how fascinating. It must have been a real joy. aloha Georgia. i like the island of color surrounded by the grays in this. your words and fonts are standing out well. i like that too. it looks to me like you’re having a lot of fun with all the prompts. very cool on fun. aloha. Thanks rick … this year i’m trying to follow the prompts as well as do the haiga … glad you liked my islands 🙂 fun! Ciao. cool on exploring the prompts. i like prompts because they take me out of my usual patterns. sometimes i’ll come across one that just doesnt work for me tho. no worries when that happens. just grab something else that does work. yeah, i like those mountain islands. cool. aloha. 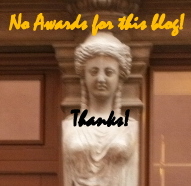 Thanks … prompts can be inspiring and I know what you mean when you just don’t get jived. 🙂 Glad you liked the photo.